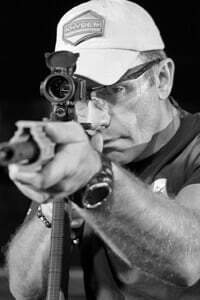 Wes is an internationally recognized firearm, tactics, and use of force instructor with over 30 years of military & civilian criminal justice experience, as well as significant operational time with both military & law enforcement tactical operations & protective service organizations. Wes holds specialized instructor certifications from the U.S. Army, the U.S. Marine Corps, Arizona POST, the Smith & Wesson Academy, the Sig Sauer Academy, NRA LEAD, FEMA and the Department of State. Wes has studied adult education & human performance extensively and has a broad background in the martial arts, with over 25 years of training, teaching, and competition experience. 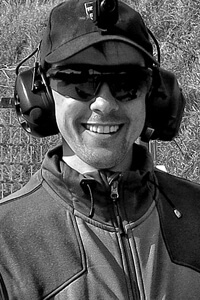 Wes is the Founder, President & General Operating Manager of Khyber Interactive Associates LLC, the 1 Inch to 100 Yards Warrior Conference and lead trainer of the Annual Lights Sights Lasers US Tour. Wes holds a master’s degree in criminal Justice administration and an upper-level Doctorate in Psychology, with an emphasis on sports and performance psychology. 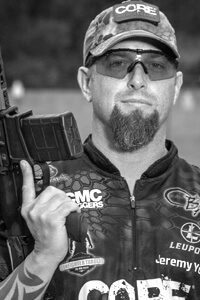 Wes is a member of a number of professional associations, including: The International Association of Law Enforcement Firearms Instructors (IALEFI), The National Rifle Association (NRA), The National Tactical Officers Association (NTOA), The Military Police Regimental Association (MPRA), The International Law Enforcement Educators and Trainers Association (ILEETA) and the International Association of Counter-Terrorism and Security Professionals (IACTSP).